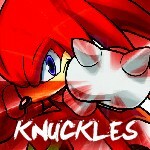 ...Learned how to sing the Knuckles Rap to entertain the incoming tourists. ...But the Chili Dog Booth had a sign on it that said "ABSOLUTELY NO REFUNDS WHATSOEVER!!!" ...and raided the nearest McDonalds. ...they all screamed, "NO THIS IS PATRICK!" at the angry tourists. the tourist decided to join Team Plasma, since Team Rocket wasn't taking applications. ...requested to play checkers instead. ...EPIC SUPER SMASH BROS. TOURNAMENT-EXPLOSIONS NOW INCLUDED!!!! ...Had stolen all of their tourist things! .......Giovanni attempted to Revive the Thread. .....................The Game crashed,Because of a fake Game Shark Code. .......................Everything was back to normal. ...took all the sunscreen and shot it at the man of Death himself in self defense! ...................Link,Pit,and Chrom teamed up to deliver the final blow. .......................The Player Ragequitted,Because the game finally ended. .......................Was put in the Garbage,Never to be played again.